This is the first installment of my new "Mix in a Jar" series here on A Delicious Melody. It's intended to be for gift giving for all occasions really. 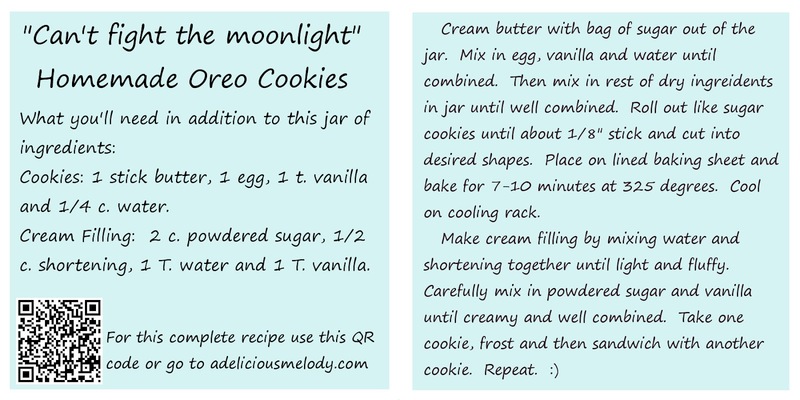 I primarily give these as hostess or house warming gifts, but I know others who give them for lots of other things. Spoon the flour into the bottom and let it settle down in the bottom. Then carefully layer, one cocoa and then the black onyx. 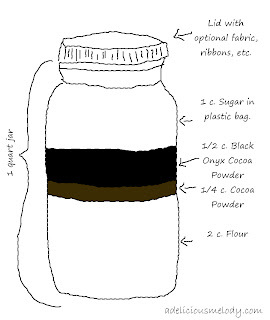 Then place a plastic bag in the top and fill with the sugar. 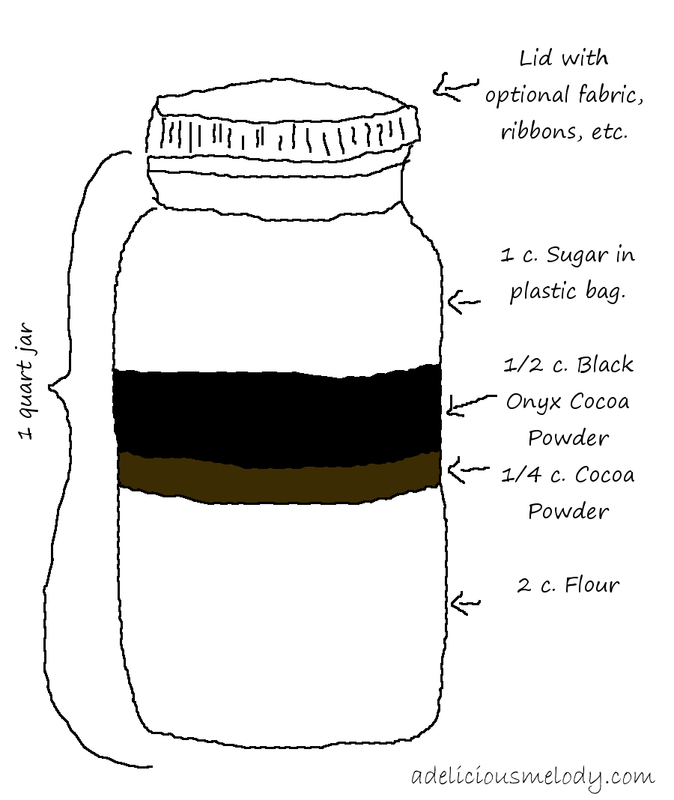 Close the baggie and put the lid on the jar. 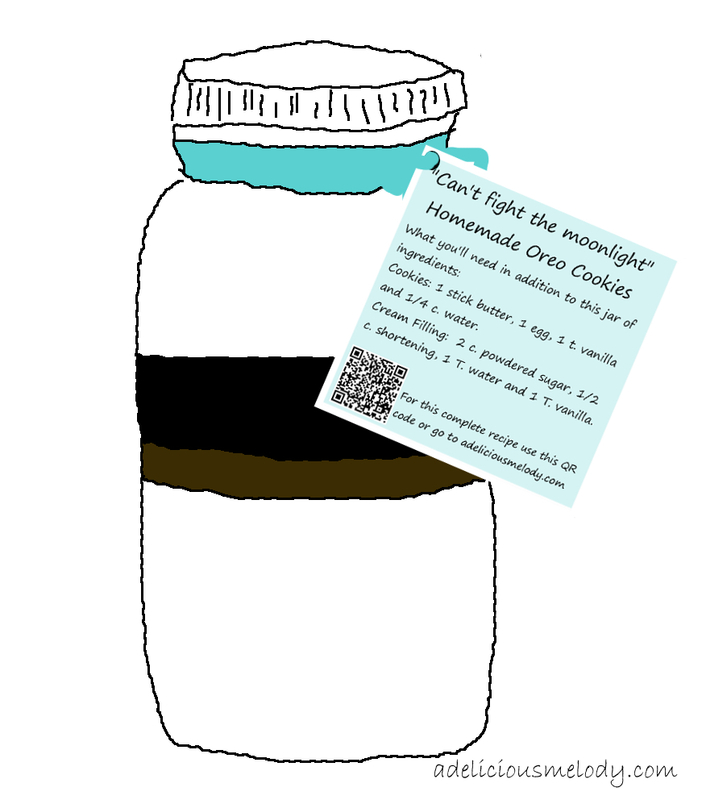 Decorate jar as desired, then print up the printable with instructions and it's ready to give! 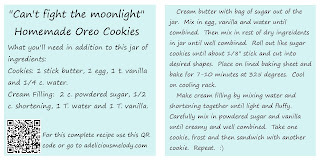 For the regular homemade oreos recipe click here. After reading the Coyote Ugly comment, just thought i'd drop a quick line and let you know Piper never sang it, that was actually Leann doing all of Piper's singing. I was really surprised when I learned that because I too preferred Piper's, but the bonus features on the dvd talk about Leann doing all the singing and how hard it was for Piper to lip sync.